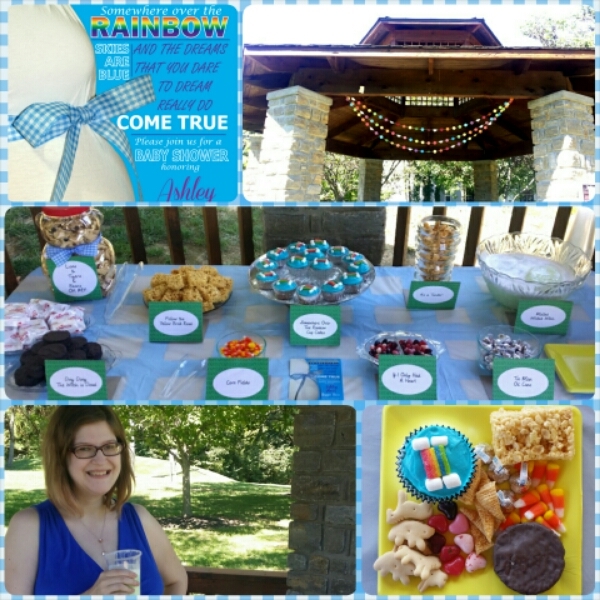 My “Somewhere Over The Rainbow” themed Baby Shower was yesterday, and I must say it was perfect! Decorating Onsies was a hit! 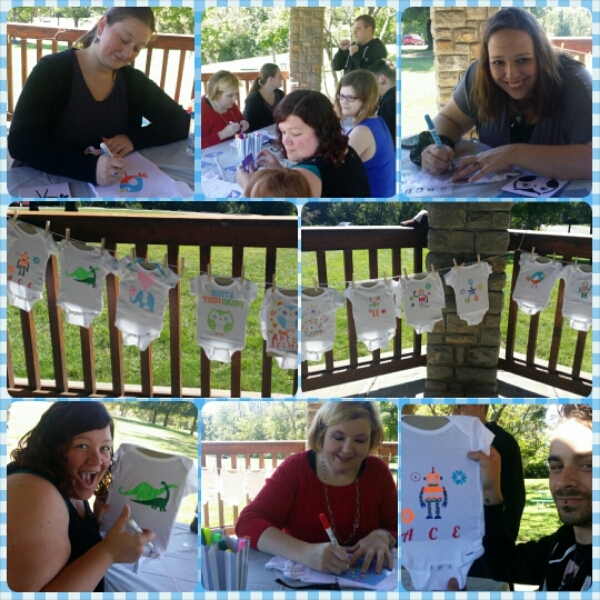 We all had a lot of fun with this, and Ace will have the cutest, and silliest, one-of-a-kind onesies! 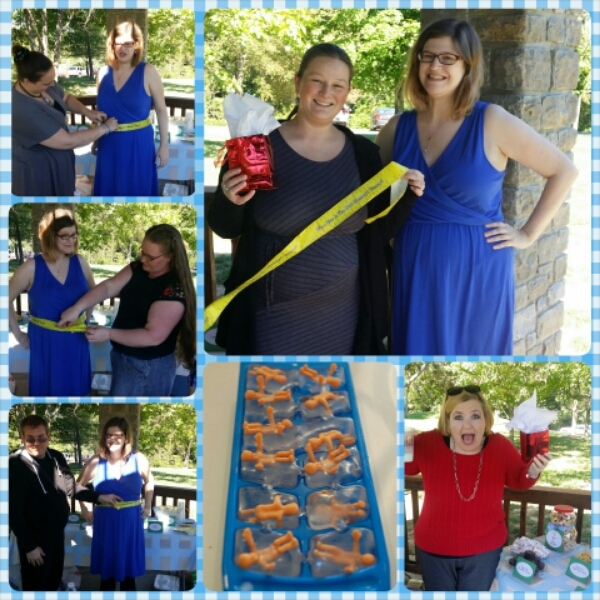 I was instructed ahead of time to have typical Baby Shower Games too, so I picked two simple ones “My Water Broke!” and “Tummy Measure Game” … they were actually a lot of fun! 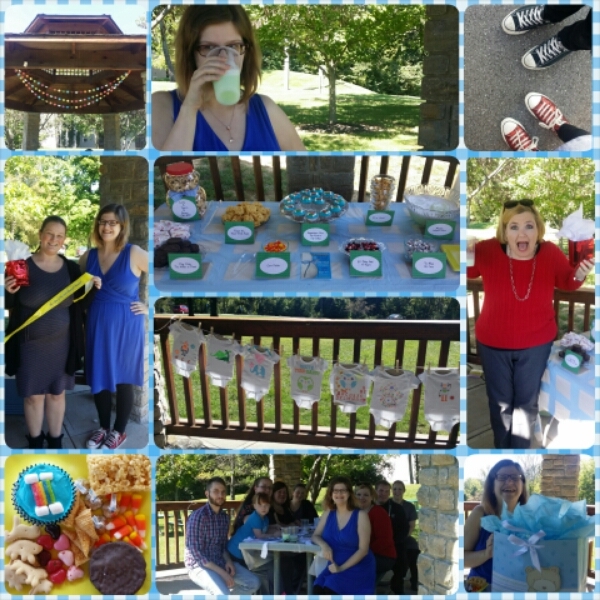 Thank you friends for such an amazing and memorable day! 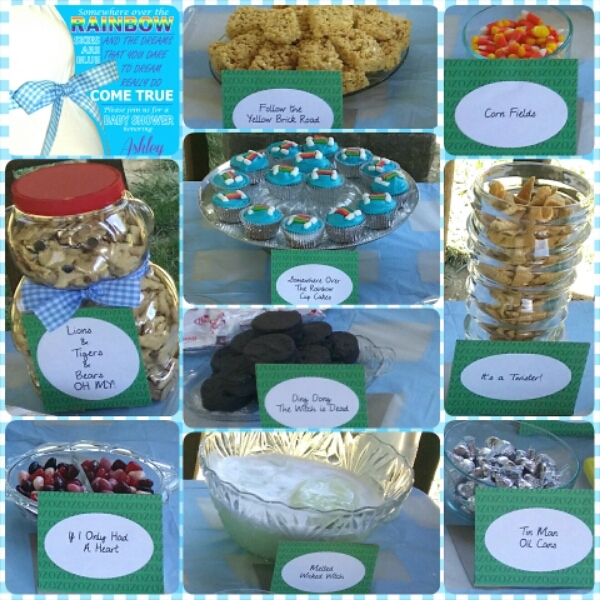 This entry was posted in Pregnancy Journal, Third Trimester and tagged baby shower, Dorothy Gale, first time mom, follow the yellow brick road, its a boy, mom to be, pregnancy, ruby red slippers, somewhere over the rainbow, the wizard of oz. Bookmark the permalink.